Question: Ques : Which of these temples is in Tamil Nadu? Tamil Nadu which is also known as Land of Tamils or Tamil Country is one of States of India. It is one of Southern state of India. Tamil Nadu is bounded by the Eastern Ghats on the north, by the Nilgiri, the Anamalai Hills, and Kerala on the west, by the Bay of Bengal in the east, by the Gulf of Mannar and the Palk Strait on the southeast, and by the Indian Ocean on the south. Question 1 Name the state animal of Tamil Nadu. Question 2 Which of the following is the state bird of Tamil Nadu? निम्न में से कौनसा तमिलनाडु का राजकीय पक्षी है ? Question 3 Sathyamangalam Tiger Reserve is located in which state of India? सत्यमंगलम टाइगर रिजेर्व भारत के किस राज्य में स्थित है ? Question 1 Which of the following is the State official language of Tamil Nadu? निम्न में से कौनसी तमिलनाडु की राजकीय आधिकारिक भाषा है ? Question 2 What is the State Dance of TamilNadu? तमिलनाडु का राजकीय नृत्य कौनसा है ? Question 3: Choose from the following the State sport of Tamil Nadu. Question 4: Name the State song of Tamil Nadu. Answer: Invocation to Goddess Tamil. Question 1 Choose from the following the State Tree of Tamil Nadu. Question 2 What is the name of state flower of Tamil Nadu? तमिल नाडु के राजकीय पुष्प का नाम क्या है ? Question 3 Which of the following is called state fruit of Tamil Nadu? इनमें से कौनसा तमिलनाडु का राज्य फल है ? Question 72 Which one of the following is the principal place of sitting of the National Green Tribunal? Previous CM O PaneerSelvam has got accepted his resignation from Present Governor of Tamil Nadu Mr K Rosiah. 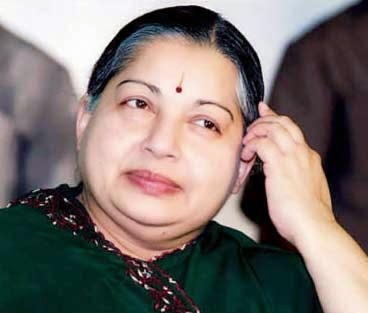 Jayalalithaa will be CM of Tamil Nadu again from tomorrow .